Nevada Zinc’s 100% owned Lone Mountain project is located within close proximity to Eureka, Nevada. 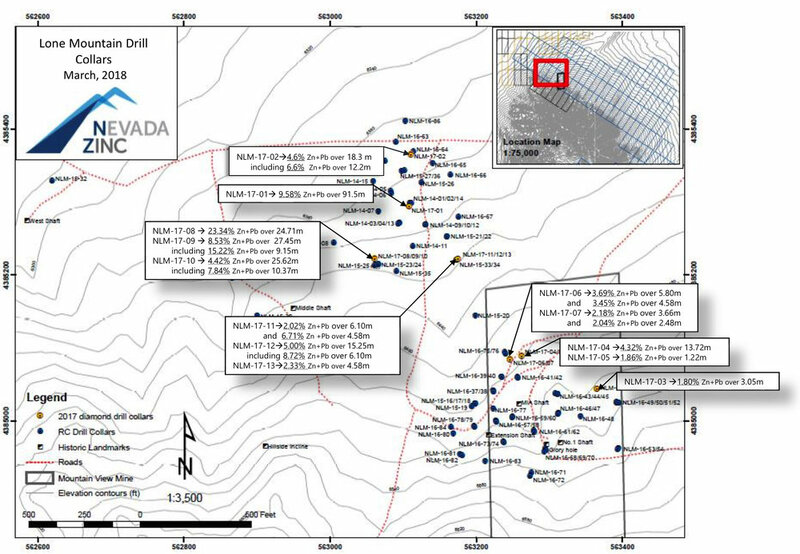 Nevada Zinc’s 218 claims at Lone Mountain are spread out over 20 square kilometres and surround the historic Mountain View Zinc Mine. Between 1942 and 1968, more than 5 million pounds of zinc, 650,000 pounds of lead and 4,000 oz. of silver were mined at Mountain View. 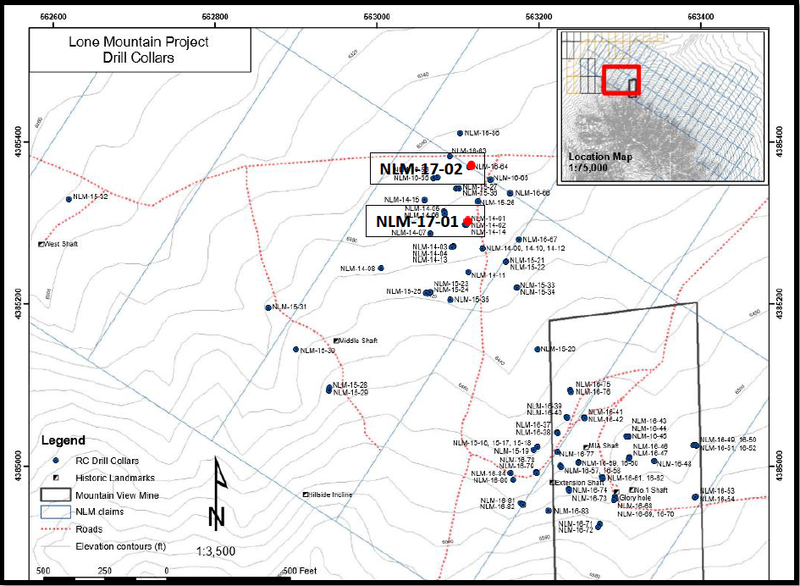 Data from a drill hole in 2007, as well as assay results from recent Phase I and Phase II drilling conducted by Nevada Zinc suggests there is still a vast untapped mineralized body of zinc below the surface. Recent geological assessments further support that finding. Located in close proximity to other producing mines, Nevada Zinc’s Lone Mountain project has good access to important infrastructure, such as roads, energy and water. The company has now reported results from three cross sections of drill holes where multiple holes have been completed. Holes on each of the three sections intersected significant intervals of zinc/lead mineralisation. Given the thickness of the intersections and some of the grades, the company continues to believe it will emerge as a focus discovery story for 2015. The Lone Mountain Project has major exploration potential and the potential for a large scale discovery. It contains a well defined coherent zinc anomaly and less than 10% of the target has been evaluated. There is significant zinc and lead in the soil with the majority of it being covered by overburden and has never been drilled. Drilling to date shows a strong correlation between geochemical results and assay results.